January 2018 – Dc to a "T"
I talk a lot about my thrifting adventures on Instagram stories, but I figured I’d go into a bit more detail on here about some of my favorite local places to find amazing pieces at great prices! In addition to Craigslist, which still remains a favorite, there are plenty of “real life” stores to browse if you find yourself wanting to make over your space or do a quick DIY. First, of course, would be Goodwill. I think my first time going into a Goodwill was in college because there was one near campus, and it was always a good place to go for last minute theme party attire. I distinctly remember my friends and I trying on tons of random formal dresses before a friend’s Great Gatsby themed party freshman year, haha. I never paid much attention to what else was there–although I did pick up some gold picture frames one time and still have them in my current apartment! However, Goodwill can be a gold mine when it comes to furniture, especially in an area like DC where 1) there are tons of stylish people, and 2) there is a lot of turnover with people frequently moving in and out of apartments and parting with their stuff. I like Goodwill because the prices are super cheap, which is perfect for me because I have a hard time committing to furniture (if you haven’t noticed, I move things around and change things up all the time, so I don’t want to spend $$$$ on a piece only to rearrange a few months later). 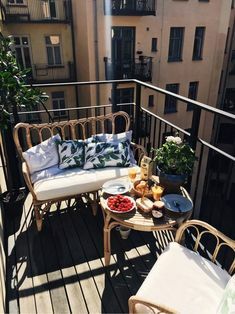 I also like finding items that are priced well and easy to fix with a little DIY–spray painting on my roof has become my new weekend activity, because it’s such a fast, inexpensive way to make over a piece that has great bones. There are several Goodwills in Northern Virginia and one in Northeast DC (I prefer the Arlington ones because the NE location is a bit of a hike), and I’ve had lots of luck at each, recently scoring a cool rattan chair, some fun side tables, and lots of blue and white pottery/ginger jars! My favorite neighborhood place is Miss Pixie’s, which I also talk about a lot on Instagram. I easily pop in there once a week and also frequently check the new arrivals section of their website. Most of the time I don’t end up buying anything when I stop by, but it helps to browse often because their items get snatched up quickly. I bought my gold bar cart there (pictured above) and it had only come into the store a few hours earlier! While many of their items are priced in the West Elm/CB2 range, there are also some surprisingly affordable pieces (my bar cart was only $70, which is less than Target prices!). The pricing isn’t super consistent, in my opinion, so it helps to browse around in the store. You may be surprised to find a bar cart priced at $325 but then stumble upon a cute trinket for only $6. There was actually a bamboo side table that I was interested in but passed up when I saw that it was priced at $110 (not worth it for that style), but then last weekend I found the exact same style at Goodwill for $10, spray painted it, and am currently using it as a nightstand! I’ve also talked about the Georgetown Flea before, although I’m not sure if it’s open year round–definitely go in the summer and fall if the weather is good, though! 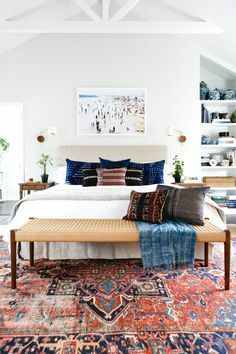 When I moved into my current apartment, I purchased some items there for great prices (one of which is my orange cane couch, pictured at the top of this post), but each vendor has a different range–for example, Turkish rugs there will easily go for $400-500 (yikes!). Whether you’re looking for a knick knack or a side table, it’s definitely worth browsing (and checking back often–it can be hit or miss, in my opinion). Also, don’t forget about garage sales/church rummage sales in the summer and fall–I’ve had a lot of luck with those since moving to DC, and prices are often very low! Another Georgetown fave is the Opportunity Shop on Wisconsin. Again, you won’t always leave with a find, but it’s worth browsing–I purchased the tortoiseshell candle holders pictured above for only $16 total! The hours are pretty limited, but it’s an easy place to pop into if you’re strolling around on the weekend. I really enjoy thrifting because I love the thrill of the find–it’s way more fun to me to go shopping and not know what I’ll come across than to go to a store like West Elm and browse around. Plus, buying furniture secondhand is a great way to go green and is perfect for those of us who like trying out new trends but can’t always justify paying retail. Got any thrifting tips to share? I’d love to hear! This post is obviously geared more toward my fellow bloggers, but I think some of the steps below can be applied to any hobby or non-work task. This past week, I was super busy at my day job–there was one evening where I was handed a major, last-minute assignment around 5 pm and was in the office until 9:40 putting it together. Needless to say, I was exhausted and had zero energy to do anything blog-related–I ended up collapsing into bed the minute I got home around 10:00! However, since I try to schedule my posts and other content ahead of time as much as possible (not including my Friday ones, which I do the day before to keep them current), it’s easy for me to “abandon” the blog during the week if I feel like it and not feel as though I’m super behind. Of course I realize that I could also take a break from blogging for a week or maybe even a month and probablyyyyy nobody would notice, but I genuinely enjoy keeping this little site going! I also find that when I’m busy with other facets of life, I like to still maintain some amount of order where I can! Lastly, I like to keep a consistent online presence rather than bombarding my followers with content on some days and going MIA other times. 1) Take notes. If I’m on the go (waiting for a bus in the morning, between meetings, on my lunch break, and the like), I’ll oftentimes jot down ideas for future posts in the Notes section of my iPhone. This makes it easy to come back later and easily access the thoughts I had. I feel like there are times when I have absolutely zero idea what I should blog about, so it’s helpful to write down ideas as I think of them, even if I can’t delve into writing the posts for a few days. I definitely don’t use a formal system or keep an editorial calendar–too much work, in my opinion! 2) Write ahead. I’ve always been a big “work ahead” person–completing assignments under pressure–whether they’re work/school-related or even for fun–is not enjoyable for me! I also find that I get little jolts of energy where I’m inspired to tackle a certain task for an extended period. If I’m feeling especially inclined to blog during one of these bursts, I’ll try to crank out several posts at a time and schedule them for the coming week. While I’m spending the same amount of time writing as I would had I spread the process out over a few days, not having to sit down and work on a post every day is helpful. Some days there just isn’t time–or even if there is, maybe I’m burnt out from work, want to use my free time to hang out with people or watch a show, etc. I like having blog things ready to go for the week so that I can devote my time on whatever else comes my way. 3) Plan your social media. I’m super wishy-washy about the photos I want to post on Instagram, so this next technique doesn’t always work for me. However, if I know I want to post a certain photo to broadcast a specific post on the blog (I like to do this because I have more Instagram followers than blog readers, so it’s a great way to direct traffic to the site), I’ll draft a post within the Instagram app and save it so that I can easily post the photo the first thing in the morning. If you don’t know how to save an Instagram post as a draft, this quick tutorial explains how. This saves me the task of having to come up with a caption and edit the photo when I’m already busy getting myself out the door or am busy in the office. If only you could schedule Instagram posts to just go on their own…though this definitely makes things easier! What do you do to keep your blog running when things get busy? I’d love to hear additional tips! It may seem silly that I decided to spruce up my bathroom given that most days (or really, weeks) I’m the only one who uses it, since my roommate also has her own. However, before our Houzz photo shoot, I was feeling inspired to make it a little more glamorous given that I always see so many cute bathroom designs on Instagram and Pinterest and my space is actually kind of cool, with lots of exposed brick and fun architectural elements! I decided to decorate a bit using items I already had, and I’m loving how it turned out. One day before work (I kid you not…) I decided that I would take the medicine cabinet off the wall (it looked–and was–pretty easy, thankfully), and transferred all of my supplies into tote bags for the time being. 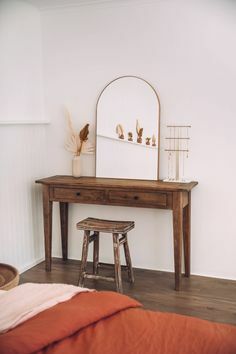 I then grabbed the ornate gold mirror I’d purchased on eBay last fall and transferred it from a little vanity/dressing table that I never really use to the bathroom. 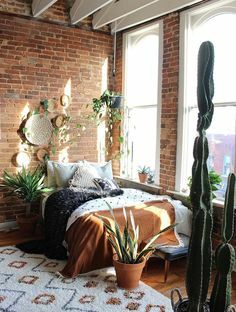 I absolutely love how it looks against the exposed brick! 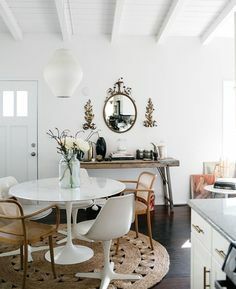 The gold mirror really adds an awesome pop of elegance, not to mention the large size is super helpful when getting ready. I’ll admit that I do miss the storage that the medicine cabinet provided, but I’ve since purchased some more bins for my bathroom shelf, and all of my products fit in there just fine. Next, I decided to order a plain white soap dispenser from Amazon (it was under $5!) instead of displaying my CVS brand soap bottles. I ordered these bins for my bathroom shelf (not pictured) and love how they’re plain and not see-through, as while it’s helpful to know exactly where stuff is located, most beauty/health products (like my bottles of vitamins, extra deodorant, etc) aren’t that fun to look at and can be kind of junky-looking when displayed. I did keep extra toilet paper under my little tables (where I set my hair straightener and makeup bag when getting ready) for convenience and also left a jar of nail polish on display. On the day of the shoot, I grabbed some eucalyptus from Trader Joe’s and it added the perfect touch–and smelled SO good. I also put my Diptyque jars on display for a glamorous touch. I keep them filled with fun products including bobby pins (which are a daily staple for me) and pretty lip colors. While I ended up taking the candle jars off of the toilet seat after the shoot (I was worried my things would fall into the toilet and be gone forever), they sure looked cute and are definitely functional. Side note: When living with a small bathroom, having things falling out of the medicine cabinet and into the toilet is far too common….the struggle! This would happen to me a ton in NYC and I’d have to ask the beauty editor at the magazine I worked at if I could grab an extra mascara out of the beauty closet because mine had to be thrown away! Last but not least, I wanted a new bathroom rug (I still keep a traditional bathmat right by the shower) to keep in front of the sink. 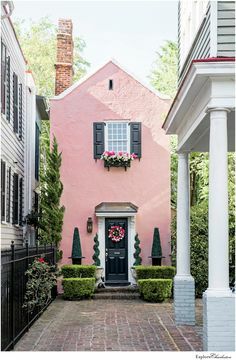 I mentioned ordering this one from Target and I love it–it’s exactly the color scheme I was going for and looks nice with the brick. Now I just need to hope it stays in tact despite being in a semi-dangerous place in terms of wear. If you have any bathroom decorating tips (it feels weird to write that out, but I really enjoyed sprucing up my little space), let me know! I’ve posted these photos on Instagram and gotten some questions about the beautiful Minted piece that we have in our dining area. I was lucky enough to actually score the framed piece on Craigslist last spring for $60, which is an amazing deal considering that the art itself costs over $90 for such a large size. As soon as I saw the posting, I knew I had to have the piece–even though I wasn’t sure where it would go! The back of the frame indicates that the framing was done by Framebridge, a company that’s based right here in Georgetown and has been a favorite of mine for the past few years (I’ve purchased many of their framed Instagram prints and gave one as a gift to my dad this past Christmas, featuring a beautiful photo that he took in Paris). I love the fun pop of color that this piece adds to our little nook. The funniest part? 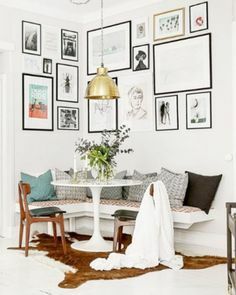 Shannon, one of my favorite interior design bloggers, has the same one (and in the same frame, as shown below!). Given that I bought the print from someone else in DC, my guess is that she was inspired by Shannon’s blog when choosing the frame! Are you a fan of abstract art? It definitely doesn’t go with the decor scheme I have going on upstairs, but I love the modern touch it brings to our living space. 1) I’m named after my mom’s college roommate, who’s also a Sarah with an “h.” (I think my parents were conflicted about whether or not to include the “h”–my mom liked it and my dad didn’t as much, but I’m glad they went for it!). My mom and Sarah were paired as freshman roommates and went on to room together again after that, living in a house with a few other girls their senior year. They were always super close, but here’s the weird part…my parents didn’t tell anyone the name they had picked for me until I was born (not even their own parents), but in the meantime, my mom’s mom apparently started referring to me as “baby Sarah,” much to my mom’s surprise! As an aside: My grandmother had also gone to a liberal arts college and was really excited that I was the first grandchild to be interested in a similar place. She passed away right before I applied to college early decision, but because of her intuition about my name, I like to think she “knows” where I ended up. 2) Speaking of my mom’s side of the family–and my grandmother, who loved genealogy–we can actually trace our ancestry back to pre-Mayflower times and have also done some research on our Mayflower ancestor, Richard Warren. Our ancestors settled in Massachusetts in the 1600s and I’m so curious to learn more about them and that time–I always wanted my mom to stop in Salem, where several of them lived, when driving up to Colby, but we never made it happen. We also have an ancestor who signed the Declaration of Independence, and my middle name, Ingersoll, comes from him. Alternatively, my dad’s dad immigrated here during WWII when he was a young adult, which is equally fascinating. I think genealogy is so interesting and am thankful that my grandmother took the time to research her heritage and make books of information for each grandchild! 3) I wore either braces or Invisalign three out of my four years of college following my jaw surgery, and yes, life went on (though don’t get me wrong, there were a lot of tears involved). Thankfully by senior spring I was only wearing the Invisalign at night and didn’t have to worry about confining my eating/drinking into a two-hour period each day. I feel like there’s never really a good time to have to deal with wearing stuff on your teeth, but I’ve had several coworkers with Invisalign and really don’t think it’s that big of a deal (aside from only being allowed to take it off for short periods of time). Fortunately, I didn’t have to deal with any of this freshman year, which I think made the whole process a little easier! I’m really happy with how my teeth look now, but more importantly my jaw FEELS a million times better! 4) I grew up in the same neighborhood as my cousins on my dad’s side (who are slightly older), so we all went to the same high school and graduated between 2002 and 2015 (ending with my sister). Basically from the time I was 8 until the time I was 23, there was always someone from our family at the school! 5) I had tea with Julie Andrews! I’ll back up…it was part of a press event that I got to attend while working at American Baby magazine (Julie Andrews and her daughter Emma, who was also there, write children’s books!). Julie Andrews’s voice sounded exactly like her voice in movies and as soon as I stepped into the room I was in starstruck. The press event involved like 20 of us having tea and treats and fangirling over Julie and her daughter. I’ve been in a redecorating mood lately (let’s be real, though, am I ever not?!). The good news for you is that I’ve scoured the internet for some great deals that you won’t want to miss. Below are a few of my faves. In the market for a Diptyque candle? Save yourself $10 by signing up for C.O. Bigelow’s emails. Then, order one of the designer candles off their site (their shipping is super fast, too) and pat yourself on the back for the $ you saved (because let’s be real, these babies don’t go on sale, so $10 off is still a huge victory). If you need to switch out your accessories, H&M Home is the perfect place to grab some new items…how adorable is this jute basket, and who can say no to a cute sleep mask or a classy little handheld mirror? I was browsing the home section at Target the other day and didn’t leave with anything (#willpower), but a quick trip online has me wanting, like, everything…but especially this little rug. Ordering it for my bathroom, ASAP! As if we need proof that Amazon Prime has everything we could ever want/need…this little ginger jar comes in at under $20 and has two-day shipping! I’m also lusting over these Homesick candles…I’ve heard great things! Happy Monday! It’s been a slow blog week for me, so I’m trying to get back in action since I have today off. I wanted to share the details on the Turkish rug I ordered from Etsy last week, since I’ve gotten a few messages on Instagram and promised to reveal all of the details on here. I’ve talked on here before about how much I love Turkish rugs, and a few months ago, I snagged one from a neighbor who runs a little flea market in his yard each weekend morning (seriously the best idea). I have it in the hallway outside my bedroom and considered putting it where the one I ordered is sitting now, but the colors were a little dark for me. 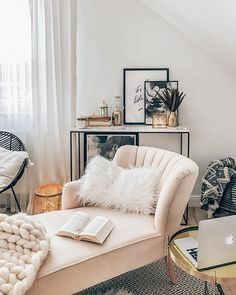 I really wanted to get something with a feminine, muted look, for my bedroom (I’ve been mixing my decor up a bit!) and I came across my ideal piece after hours (I mean hours…) of browsing Etsy. I knew I didn’t want to spend a ton of money on a small piece (mine is about 3 by 6) but I definitely got an amazing deal for the size. Turkish rugs can be super pricy, so that’s why I wanted to look on Etsy as opposed to a site like Lulu and Georgia or even a seller on Instagram, as I wasn’t willing to drop hundreds! I’m usually super impatient and order the first thing I see/like (great quality, I know…), but decided to be super thorough when shopping for a rug because of the one-of-a-kind nature of each item and the fact that I couldn’t exactly return my purchase (it shipped directly from Turkey!). I seriously scrolled through pages and pages of Etsy listings and couldn’t make up my mind, so I decided to narrow it down a bit. I found a seller who offered free shipping and had gotten great reviews and focused on all of his listings before deciding to grab this piece (also pictured above). It arrived in three days from Turkey (I placed the order on a Sunday and the rug came on Wednesday), which was super fast! Everything was in wonderful condition and looked just like the picture, and the seller even threw in a small pillow cover. I’ll hopefully post some real pictures of the rug soon, but in the meantime, I’d highly recommend ordering from this shop if you’re in the market for something similar!